Last week the MLB held a Turn Back the Clock day in 4 cities. Also known as Throwback Wednesday? One of the more peculiar match-ups was the Reds wearing their 2000 era uniforms playing the Braves in their 1970 era uniforms. Predictably the Reds uniforms looked very close to their 15 year old counterparts. The Braves on the other hand, not so much. First of all the material is just wrong. Is it possible to duplicate that retro grey flannel look and still have the comfort and fit of today's uniforms? If somebody can figure that out, they may just have a goldmine. The other obvious difference was the lack of the Indian Brave on the sleeve. 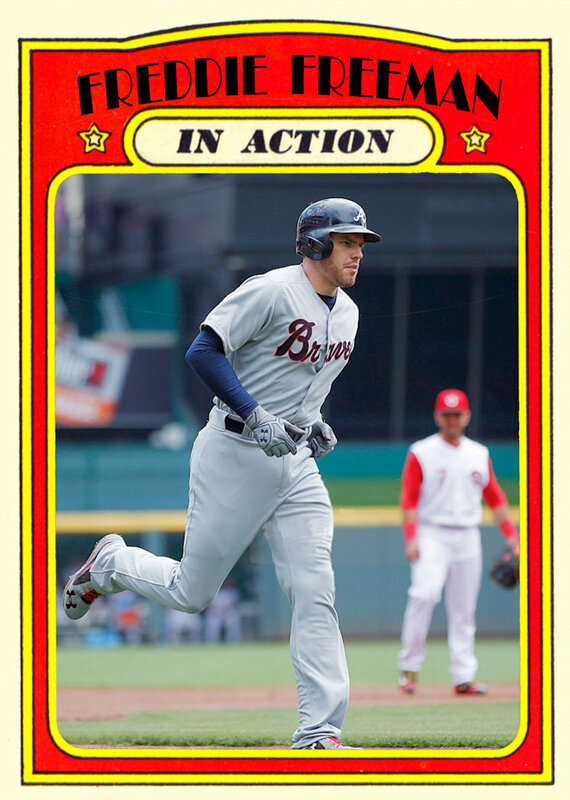 I chose to compare the homerun trot of Freddie Freeman against the homerun trot of Hank Aaron on his 1972 Topps In Action card for this week's TBT pairing. 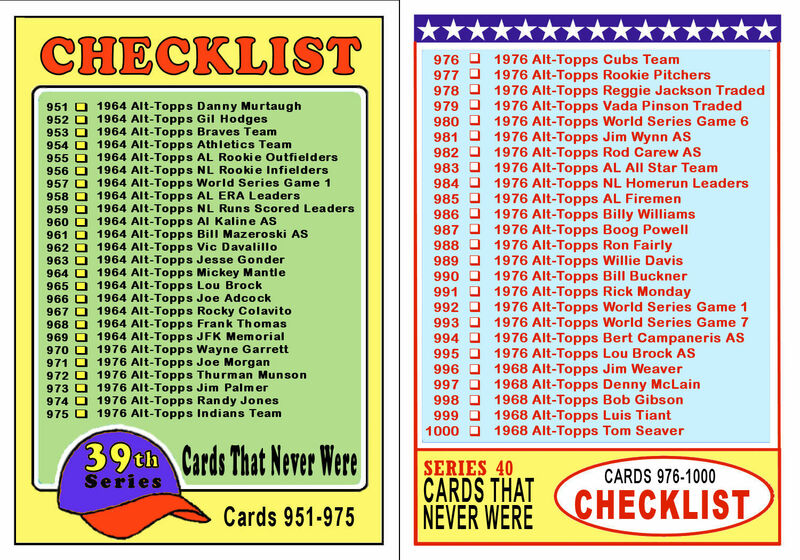 You can see Ivan De Jesus Jr. in the background of the Freeman card sporting the Reds retro uniform. Although the inspiration for these two unis are three decades apart, the fit and the material makes it look like they could belong on the field together. Overall it was a pretty weak effort on the part of the Braves who have some of the best looking uniforms in baseball and some great throwback uniforms to choose from. 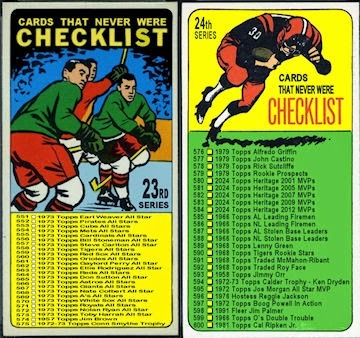 Once again I decided to change up the look of my checklists. 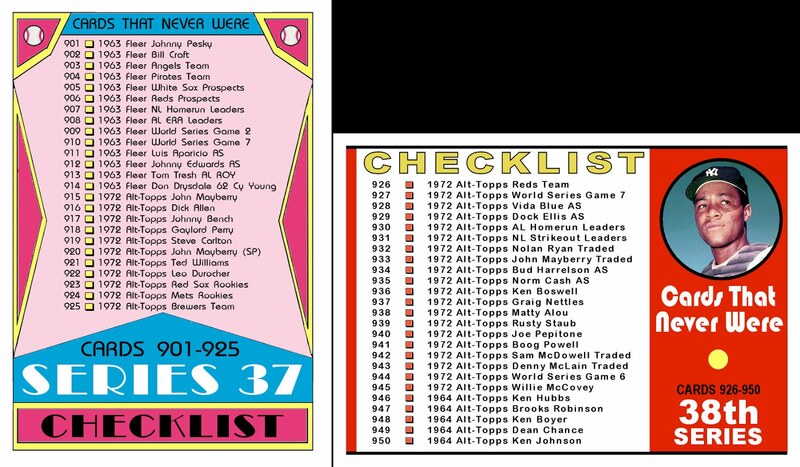 This time the design was lifted from the 1983 Topps set because I've always liked the checklists that included players. 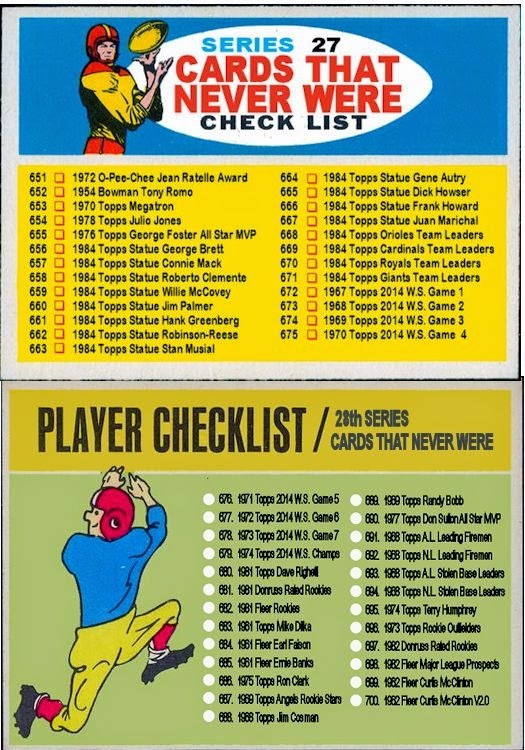 The player featured on this checklist is Jim Hickman who passed away last month. Hickman played from 1962-1974 for the Mets, Dodgers, Cubs and Cardinals. His only All Star appearance came in a Cubs uniform in 1970. 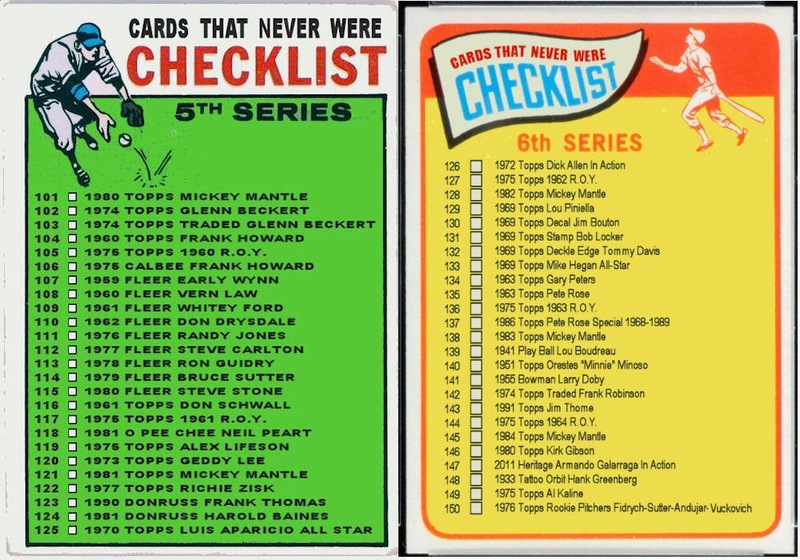 That game is best remembered for Pete Rose bowling over Ray Fosse to win the game in the bottom of the 12th inning. But it was Jim Hickman who hit the single to center field that drove in Rose from second. 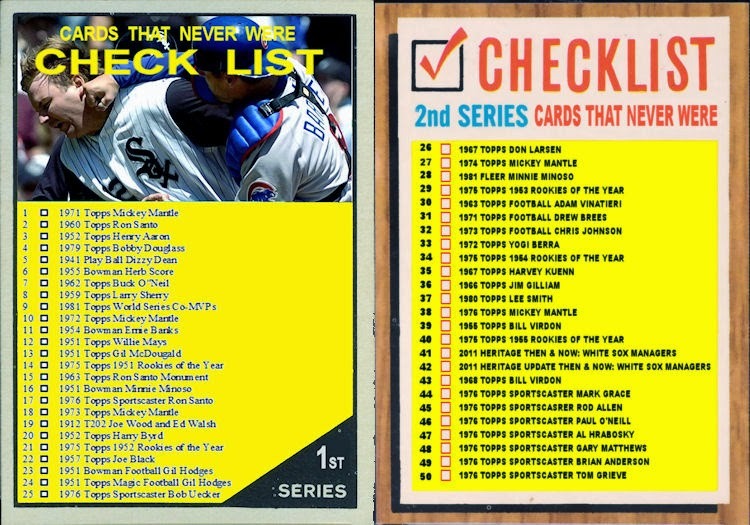 This series is dominated by Throwback Thursday cards. 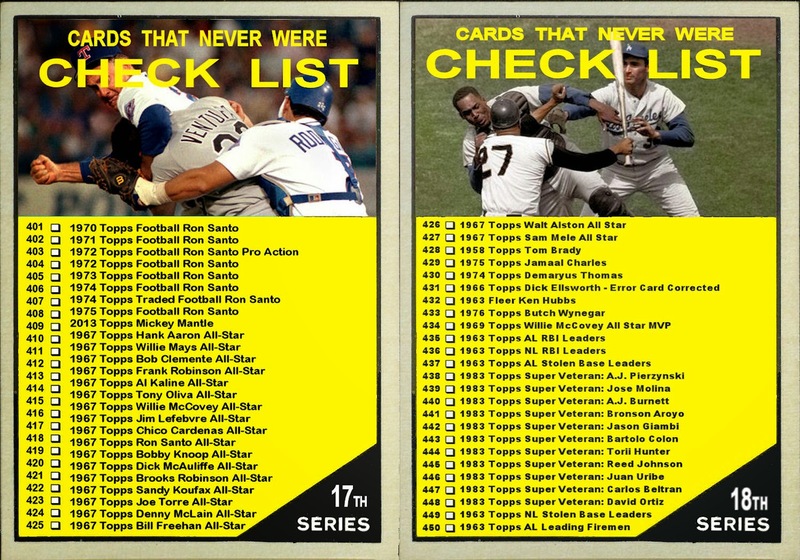 Also included was a continuation of the Honorary Captain series that I have been doing over the past 4 All Star breaks. 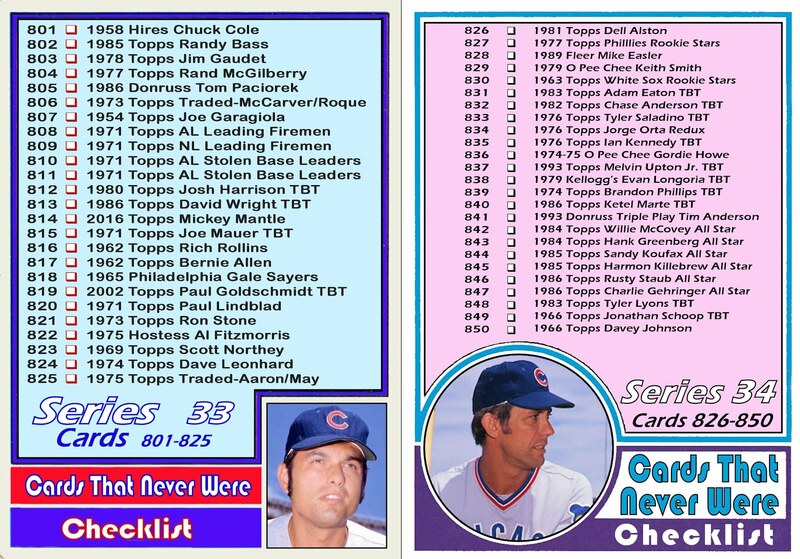 I also mad cards celebrating the life of "Mr. Hockey" Gordie Howe and the 3rd triple-play by the White Sox this season. 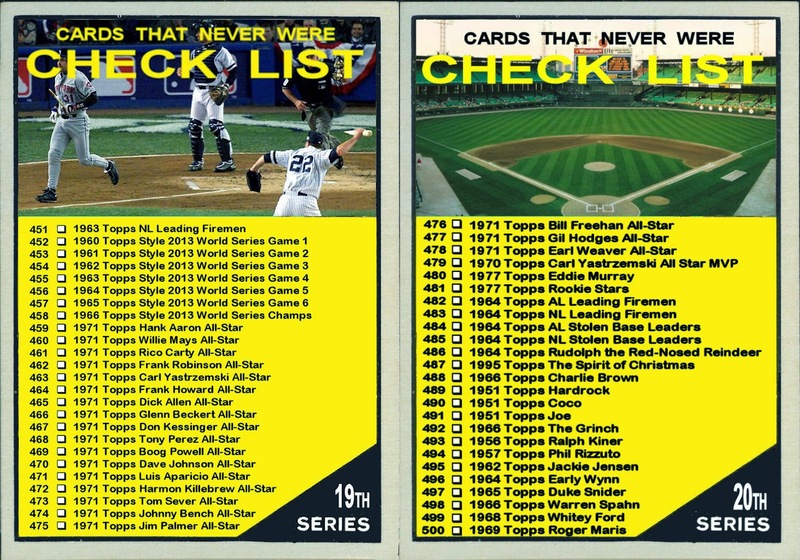 As usual if you want to see all of these cards in one place with no boring words to slow you down, you can click here or click on any of the checklists in the right border to see those cards. On the Friday before the All Star break, the Orioles celebrated the 50th anniversary of their 1966 World Series championship. The team sported the same unis as their 1966 counterparts. Their opponents, the L.A. Angels didn't play along and just wore their everyday 2016 away uniforms. The differences in the 1966 and 2016 uniforms are not dramatic. The main differences being the Orioles script on the '66 uni is slightly different and not underscored and the 2016 caps have a white field behind the cartoon bird. I chose to compare a picture of 2016 shortstop Jonathan Schoop turning a double-play with 1966 second baseman Davey Johnson doing the same. 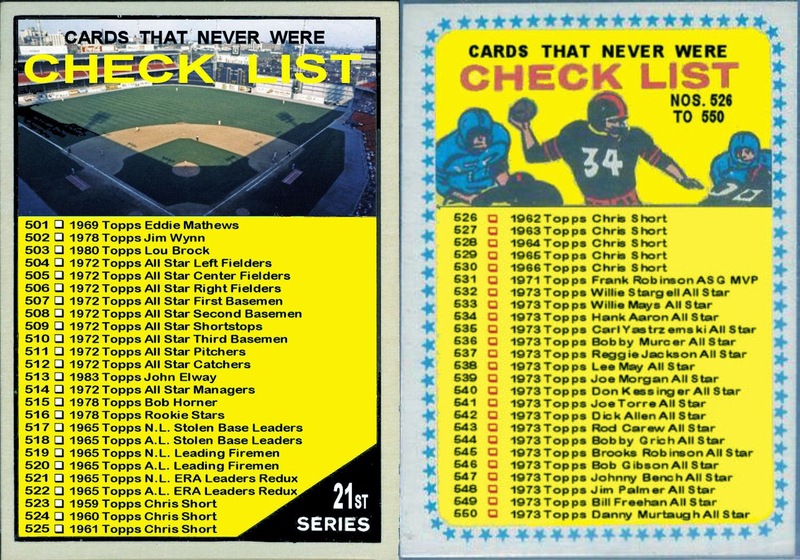 While looking for a Topps card that showed the Orioles home uniforms of this era, I came up short. 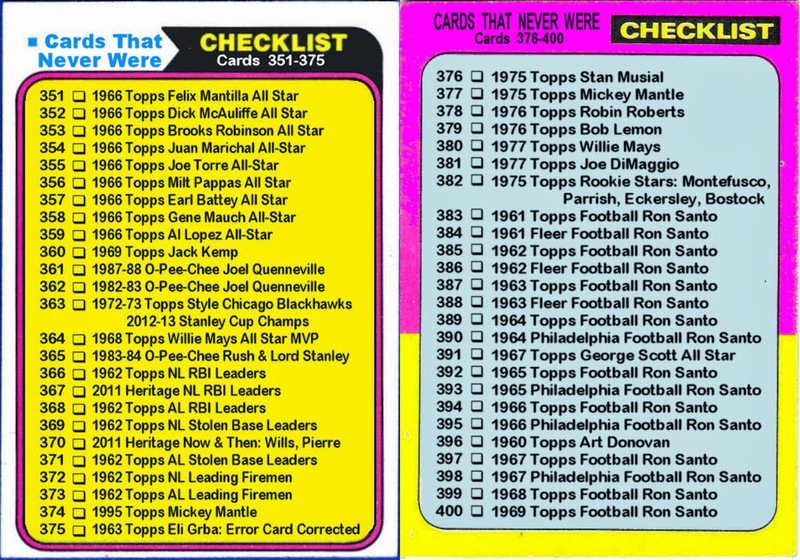 Perhaps I should say Topps came up short. 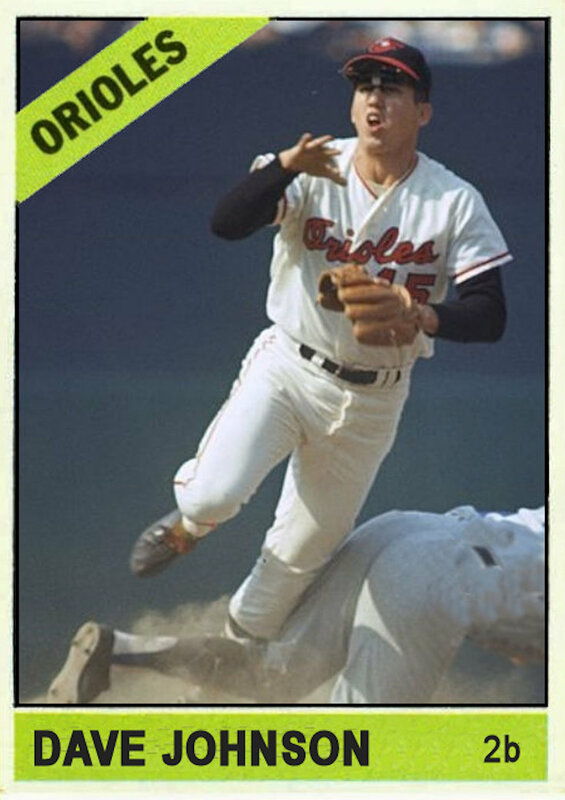 Although the Orioles uniforms changed in 1966 most cards from 1966-1970 showed home uniforms from 1965 or older or showed the away uniform. 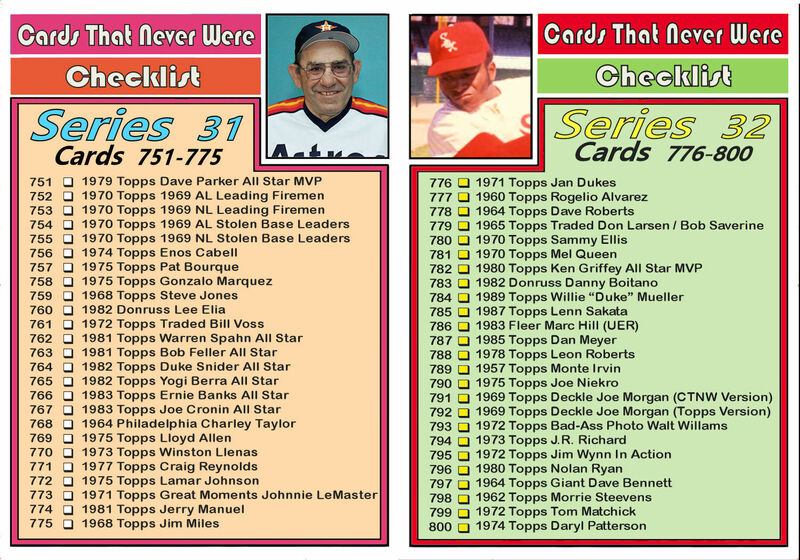 Rather than use a card from the early seventies to compare the uniforms, I made two Card That Never Were for this post. Davey Johnson was an obvious choice. 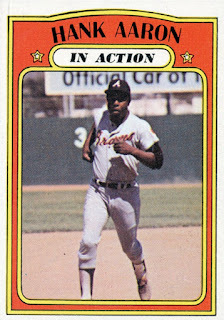 Topps had included him on a "Rookie Stars" card in the 1965 set, the year in which he made his MLB debut. In 1966 Johnson had earned a starting role as second baseman for the World Series Champs and even a Rookie of the Year nomination. 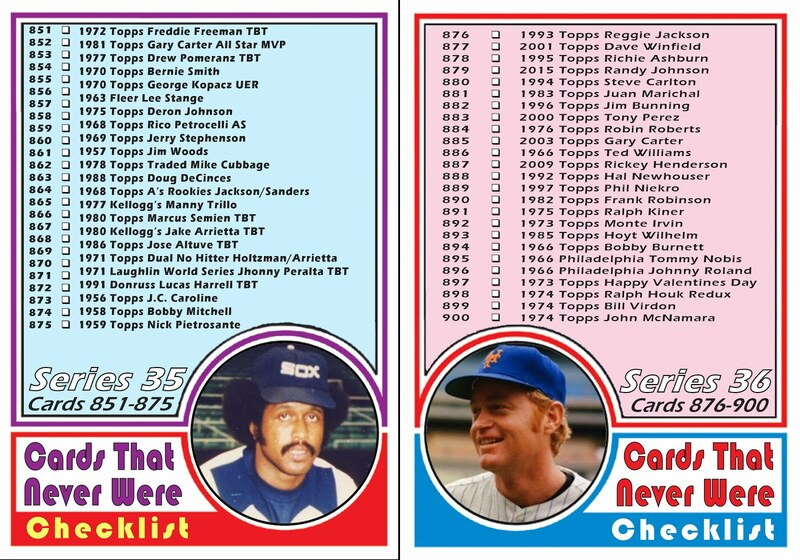 But he didn't earn his own Topps card. 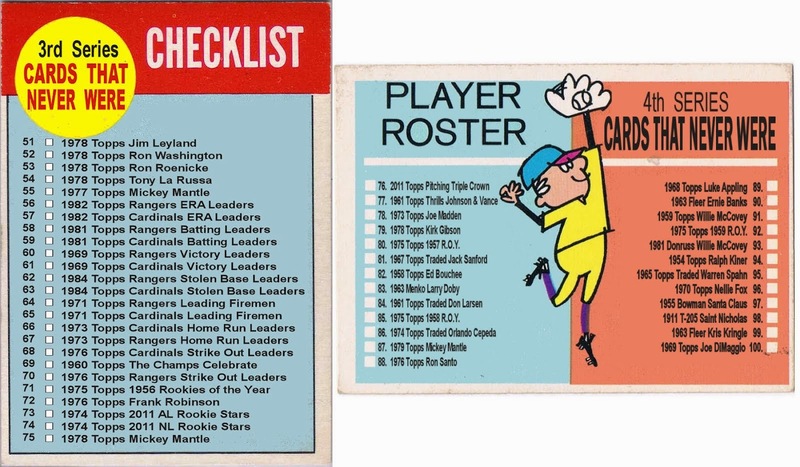 Instead he was put on a second, late series "Rookie Stars" card in 1966. So here is a second year card of Davey Johnson that would never have appeared in a 1966 Topps set. It is an action shot of him actually wearing a current uniform. A couple weeks ago the Cardinals played the Mariners in a game featuring throwback unis. The Cards wore the away uniforms similar to those worn in 1977-78 and 1981-1984. For this Throwback Thursday I couldn't help but compare a couple of cats. 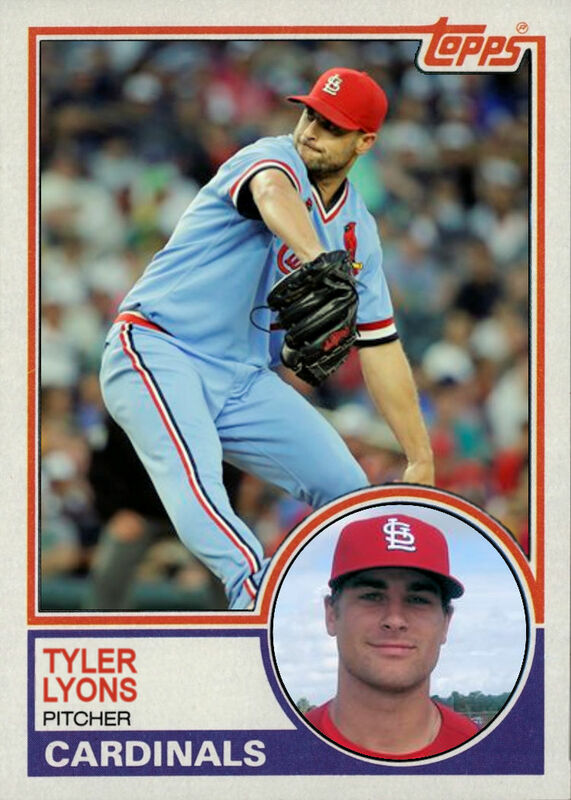 First is a 2016 shot of Cardinals reliever Tyler Lyons in his throwback uni. 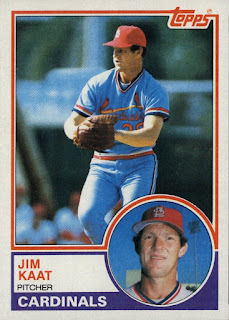 The next is Jim Kaat in his 25th and final MLB season. Although by 1983 the 44 year old lefty was relegated to bullpen duty, most of his games were as a starter. He had 180 career complete games and was a 20 game winner three times. Kaat was also a perennial Gold Glove winner on the mound. He won 16 in a row from 1962-1977 for the Twins, White Sox and Phillies. He also was a four time All Star and was named the AL pitcher of the year by the Sporting News. 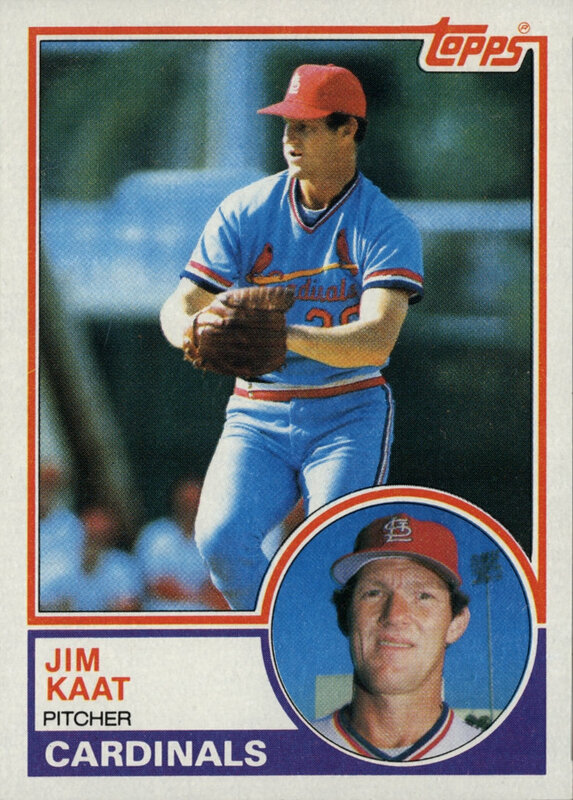 In 1982 he finally got a World Series ring as a member of the Cardinals. Before we even start, I admit that I cheated. 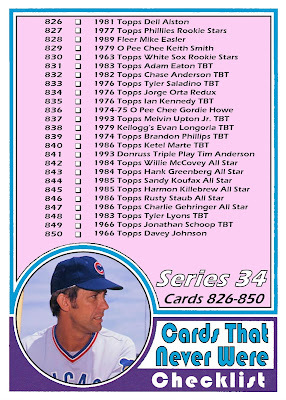 I like the 1986 Topps set but absolutely hate the All Star cards in that set. 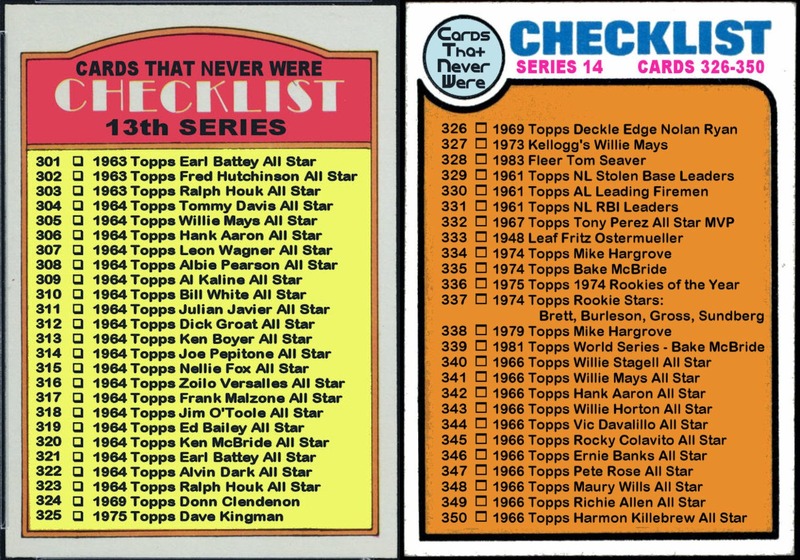 So for my Honorary Captains series I took some of the elements of the 1986 All Star cards and used them to make a more consistent looking subset of the 1986 Topps set. 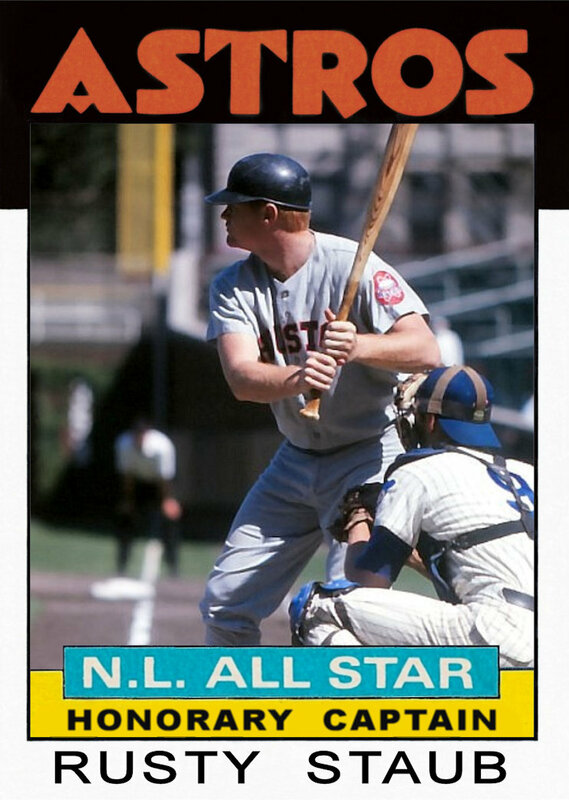 Less than a year after hanging up his cleats, Rusty Staub was named Honorary Captain of the NL. The All Star game was held at the Astrodome in Houston where Staub got his start. He was signed by the expansion Colt .45s in 1961 and played in Houston until he was traded to another expansion team, the Expos, in 1969. Rusty is the only MLB player to have over 500 hits with four different teams; Colt .45s/Astros, Expos, Mets and Tigers. The Expos retired his number 10 in 1993. Montreal's retired numbers did not travel with the franchise to Washington. The Montreal Canadiens righted this wrong by hanging his number along with the numbers of Gary Carter, Andre Dawson and Tim Raines in the rafters of the Bell Centre. Charlie Gehringer was the honorary captain of the American League. 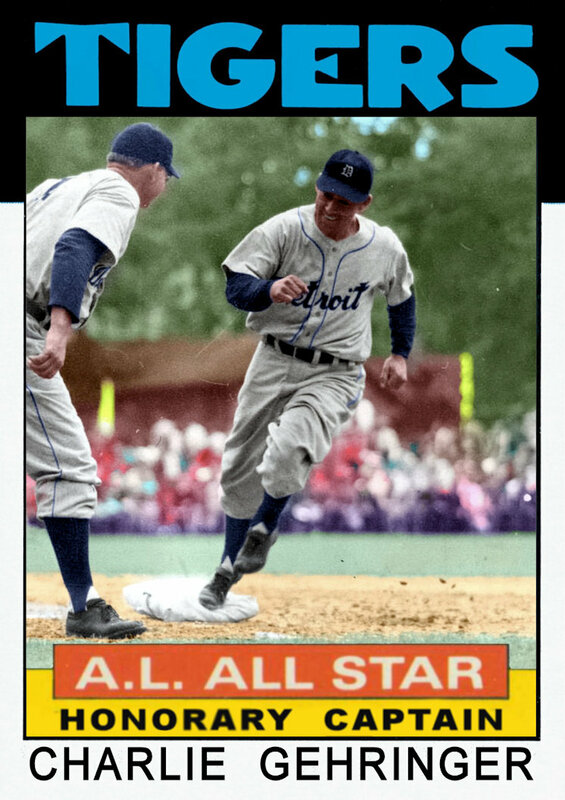 Gehringer was the starting second baseman in the the very first All Star game in 1933 (30 years before Staub's MLB debut). In fact he was the starting second baseman in the first six All Star games. He was the 1937 AL MVP but his best year was in 1929. 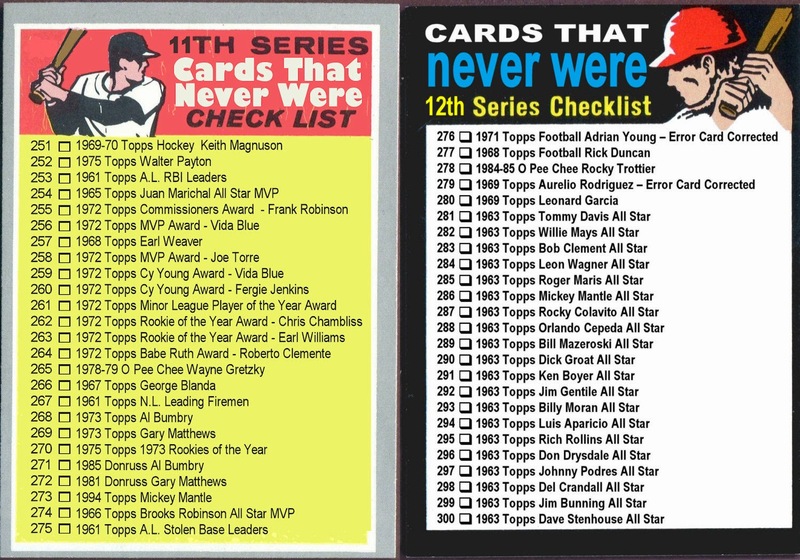 A year in which there was no AL MVP (or equivalent) award and was before the inception of the All Star game.He led the league in hits, doubles, triples, runs and stolen bases. He played all of his 19 seasons with Detroit. His number 2 along with Hank Greenberg's number 5 were the first to be retired by the Tigers in 1983. After winning just one All Star Game out of the twenty played from 1963-1982, The American League won their second in the last four games 1983-86. The tides were turning. Just as it was in the 1985 game, the starting pitcher won the MVP. In 1985 it was LaMarr Hoyt, in 1986 it was Roger Clemens who got the start, the win and the MVP. He pitch not just three scoreless innings but three perfect innings. The NL's starting pitcher Dwight Gooden got the loss and Orioles close Don Aase got the save. Lou Whitaker hit a two run homer in the second inning to put the AL ahead 2-0. Frank White added a needed insurance run with a solo shot in the 7th. The NL rallied scoring two runs off of Charlie Hough in the 8th but fell short losing 3-2. The 1985 All Star Game was a reunion of sorts for Honorary Captains Sandy Koufax and Harmon Killebrew. The two faced each other 20 years earlier in the 1965 World Series. Both players also competed in the 1965 All Star Game but didn't face each other. Killebrew hit a 2 run homer but Koufax got the win. The NL won 6-5 in the old Metropolitan Stadium in Minneapolis. In the 1965 World Series, the home team won the first six games. The Twins got the first two in Minneapolis with Koufax losing Game 2 to Jim Kaat. The next three in L.A. would all go to the Dodgers. Koufax pitched a two-hit shutout in Game 5 again facing Twins lefty Kaat. One of the two hits given up by Koufax was a single by Killebrew. Game 6 returned to Metropolitan Stadium as the Twins evened the series at three. For Game 7 both teams went with their lefties despite only having two days rest. 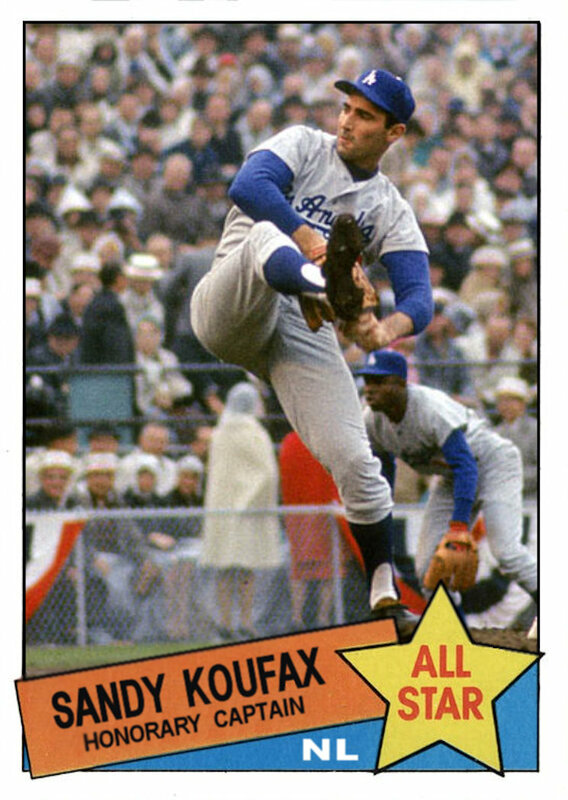 Koufax out-dueled Kaat again. After Kaat gave up the only two runs the Dodgers needed in the 4th he was pulled. 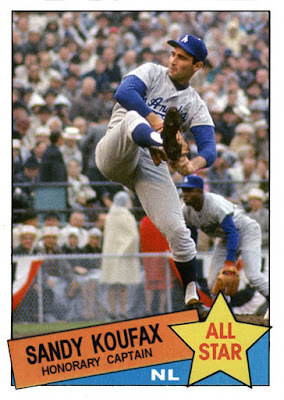 Koufax went the distance again pitching a three hit shutout. 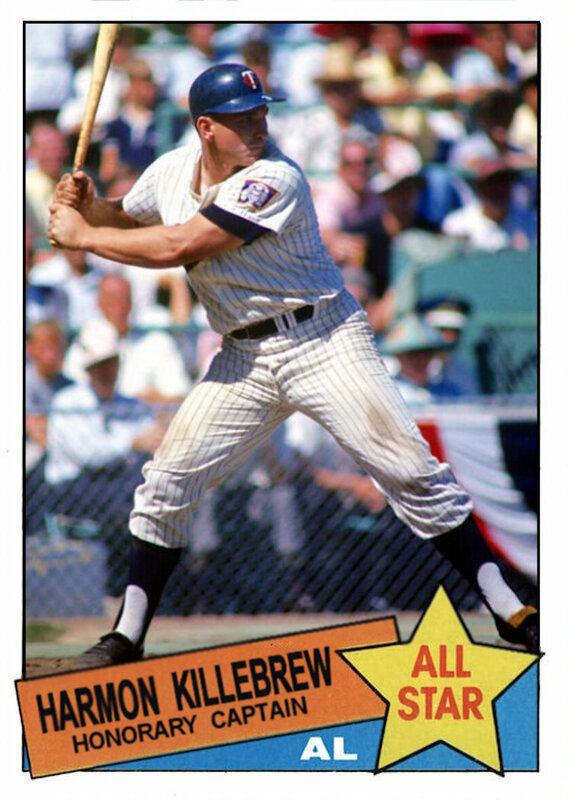 Once again one of those hits belonged to Killebrew, but the World Series Championship and the MVP belonged to Koufax. The 1985 All Star Game was in Minneapolis again after 20 years. In 1965 it was in Metropolitan Stadium but in 1985 it was in the Metrodome. Padres pitcher LaMarr Hoyt got the start, the win and the MVP on the strength of three scoreless innings. Despite being nicknamed the "Homerdome" the game went without the long-ball. All tolled there were 14 hits by 14 different players as the NL cruised to a 6-1 victory. It's the All Star break and I get to add to my collection of Honorary Captains. The 1984 All Star Game was played in Candlestick Park and representing the National League was hometown hero Willie McCovey. 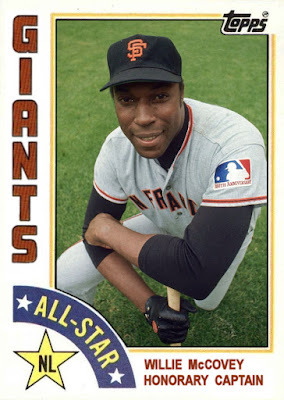 A first ballot Hall of Famer in 1986, Stretch's resume is extensive: Rookie of the Year in 1959, NL MVP in 1969, All Star Game MVP in 1969, six time All Star, and the list goes on. He was the 12th player in MLB history to hit 500 home runs. He was only the second after Ted Williams to hit homers in four decades. Not only did the Giants retire his number 44 but when the new ballpark was built they renamed China Basin to "McCovey Cove" which is just outside the right field wall. 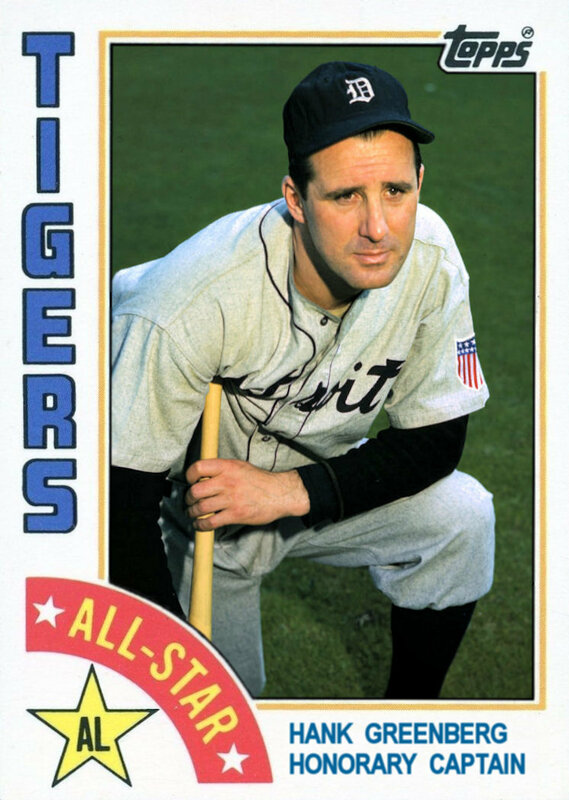 Representing the American League was Hank Greenberg. Elected to the Hall of Fame in 1956, the career stats don't tell the whole story of this two time MVP. He was originally classified 4F in the draft for supposed "flat feet". He requested to be re-examined and was drafted into service in 1941 and received an honorable discharge just 2 days before the bombing of Pearl Harbor. He re-enlisted and served until June of 1945. Overall he served 47 months, the longest of any Major Leaguer. He missed all of the 1942,43 and 44 seasons, and most of 1941 and 1945. When he returned for the latter part of the 1945 season he hit .311 and in 1946 he led the League with 44 homers and 127 RBIs. Who knows what numbers he could have put up with the addition of over 4 seasons added to the prime of his MLB career. The 1984 All Star game itself was won by the NL 3-1. Three of the four runs scored were from solo home runs by Dale Murphy, George Brett and the All Star Game MVP Gary Carter. The win went to Expos pitcher Charlie Lea. Rich Gossage of the Padres got the save. The loss went to former Southern Illinois Saluki, Dave Stieb of the Blue Jays. 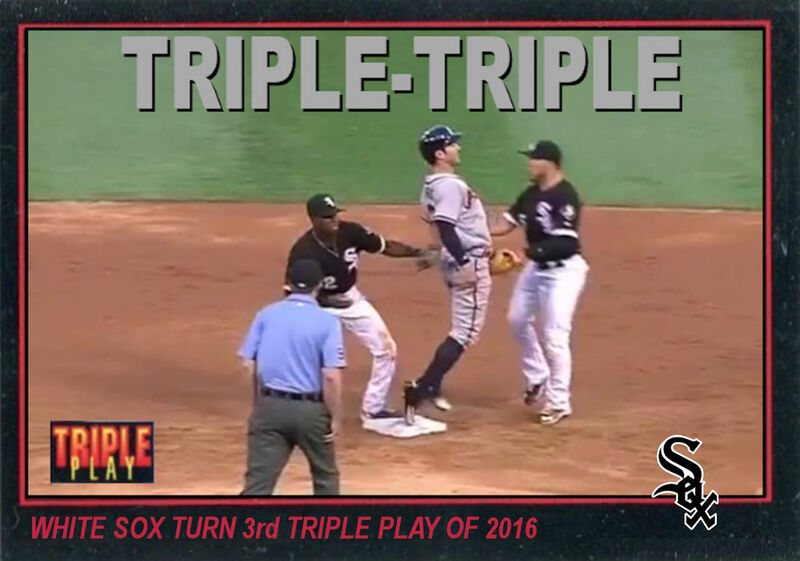 The White Sox tied the MLB record with their third triple play of the season. 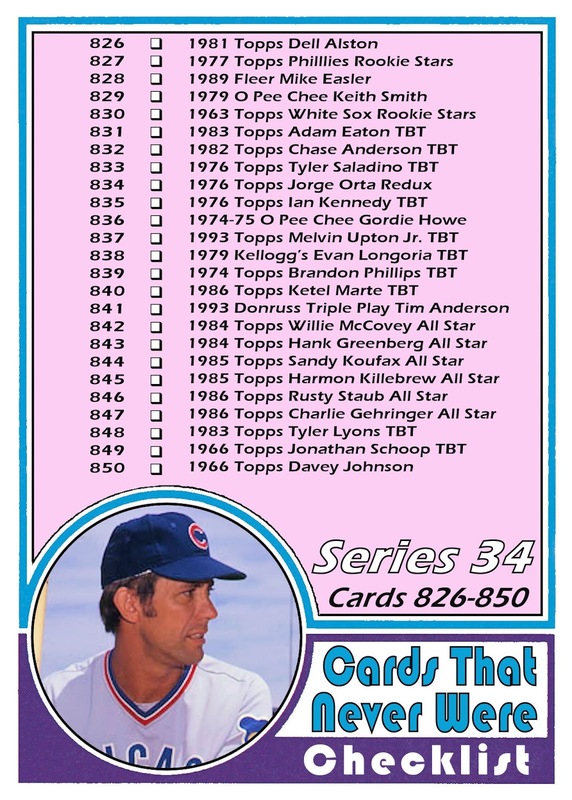 I had to go junk-box-era and use a 1993 Donruss Triple Play format to commemorate this event appropriately. 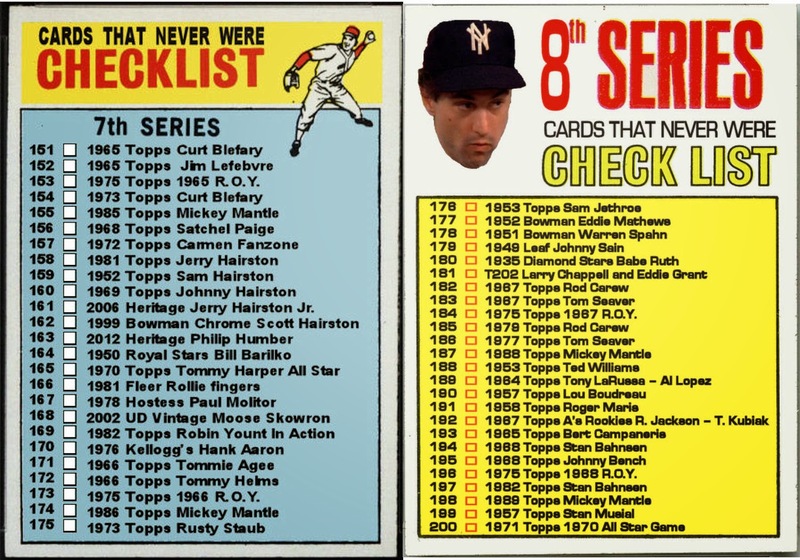 The last time a team had three triple plays in one season was 1979. Both the Red Sox and A's had three that season. The A's, like the White Sox, had all three before the All Star break. The Red Sox was the only franchise to accomplish this feat more than once. The also did it in 1924. 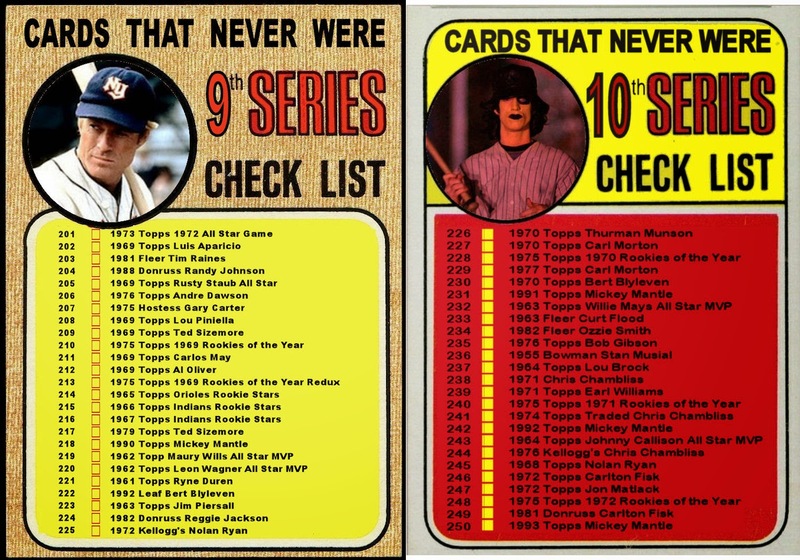 The other teams were 1965 Cubs, 1964 Phillies and the 1911 Tigers. Before the 20th century, the teams were the 1886 Brooklyn Grays, 1885 New York Giants and the 1882 Cincinnati Red Stockings. 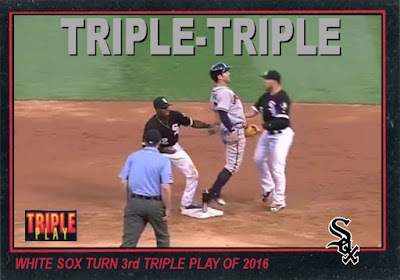 Two teams are tied for the most triple plays against them in the same season with four. They are both from the buckeye state. The 1923 Cleveland Indians and the 1905 Cincinnati Reds. On June 25th the Mariners suited up in the uniforms they wore from 1981-1986. They played the Cardinals who also wore unis from the same era. The Mariners won 5-4. Ketel Marte singled to lead off the second and scored on a throwing error by Jhonny Peralta. 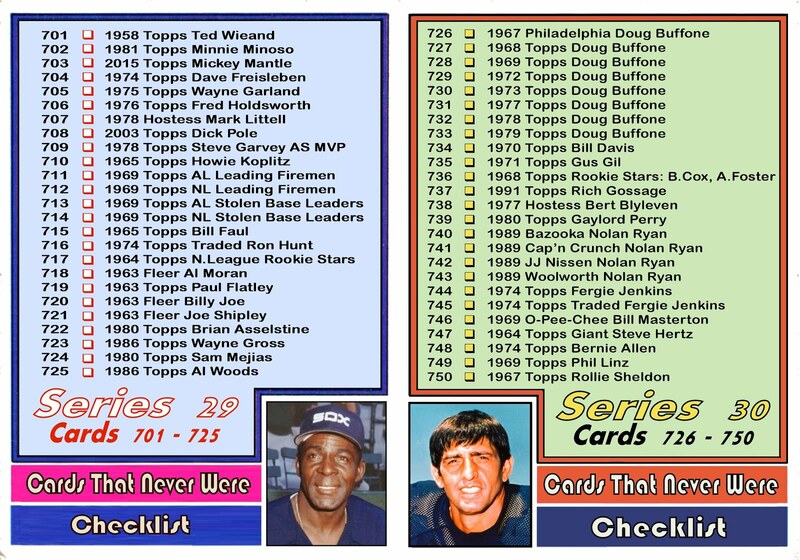 I made this 1986 card of Marte to compare it to a similar card of the late Dave Henderson. 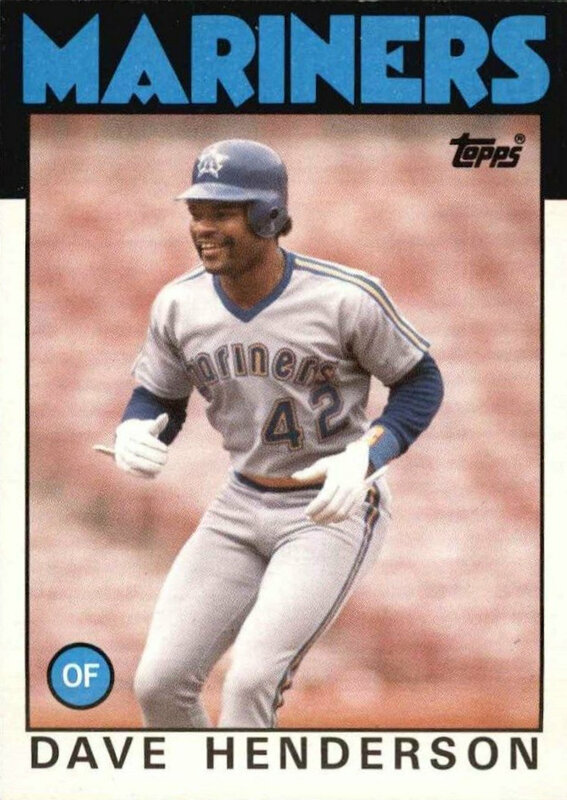 Henderson was a first round draft pick of the Mariners in 1977. A career .258 hitter, Hendu put up big numbers after the regular season ended. He was .298 overall in the post-season and hit .324 with 4 homers in 20 World Series games. Unfortunately, we lost him just after last Christmas. He was 57. Just a note about the cards. 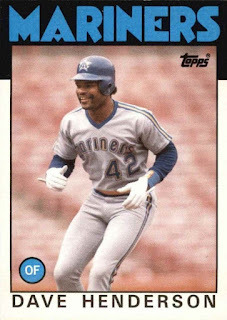 The Mariners wore basically the same uniform design for home and away at that time. The only difference is the home was white and the away was grey. 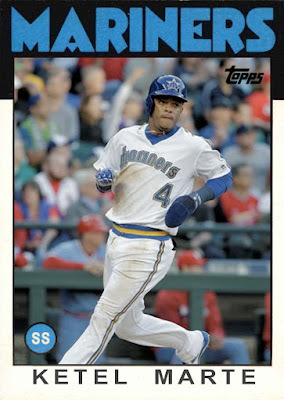 On the Hendu card, it looks more grey than white but you can see how well it matches the one Marte is wearing. The other thing is that Henderson is wearing #42. His last game was in 1994 and the MLB retired #42 in honor of Jackie Robinson in 1997. The last thing I want to point out is all the empty seats behind Henderson. I know that the average MLB attendance has gone up dramatically since the mid eighties, but this is ridiculous.